Situated in the historical enclave along the Singapore River at InterContinental Singapore Robertson Quay, Ishi offers the kind of sushi and sashimi one would expect of a Ginza-style sushi-ya. It also serves kaiseki-style cooked dishes ranging from grilled meats to shabu shabu. Diners at the 1,370 sq ft, 28-seat restaurant can also look forward to seasonal offerings from Japan such as fresh conches and hairy crabs. Ishi - the kanji character for stone - sources its ingredients from places such as Tsukiji, Kyushu, Osaka and Hokkaido, chosen according to their reputation and seasonal availability. Prices for the lunch courses start at $68++ for the three-course Ulala menu, comprising a starter, kaisen chirashi don (above), soup and dessert; to $185++ for the premium Hanakaze meal, featuring an assortment of sushi, sashimi and maki with a variety of sides. Dinner options range from the Suzuran ($185++), comprising a starter, sashimi, osumami, sushi (seven pieces), rice bowl, maki, soup and dessert; to the Chef's Omakase ($300++ to $400++). Thai Goldmine Kitchen, which started as a hawker stall in HarbourFront Centre's Tuckshop a few years ago, has opened its first eatery in Kitchener Road. Four of its chefs are from different parts of Thailand, bringing with them their interpretation of Thai food. The menu features an array of starters, salads, soups, curries, meat, fish, rice and vegetable dishes. Prices of most dishes in the menu are $6 to $8. Sukhothai Noodles, a signature dish, is said to date back to the Ayutthaya era - Chinese merchants brought it to Thailand and it was adapted in many parts of the country. Thai Goldmine Kitchen's version - Sukhothai Mee Pok (dry) - is made with ingredients such as fishcake, honey-roast pork, fried wonton skin, beansprouts, long beans, minced meat, poached egg, crushed peanuts and housemade Thai chilli. 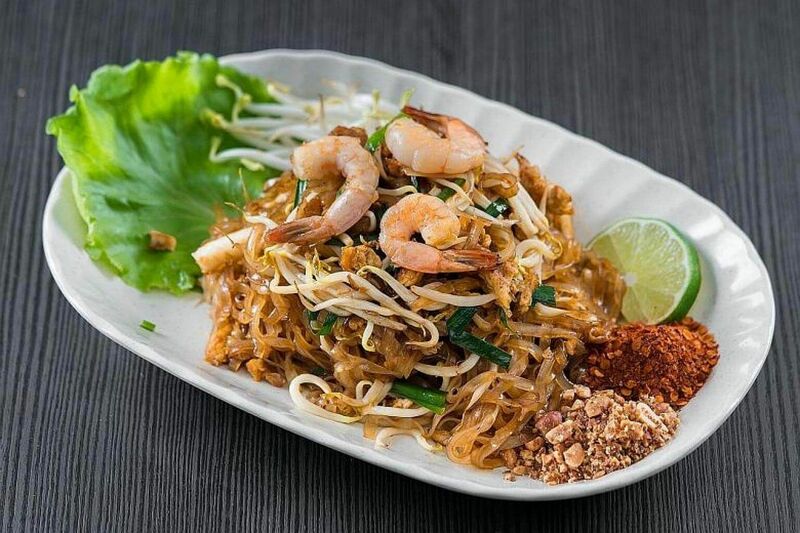 For something more familiar, go for Phad Thai (above). The thin, flat rice noodles - fried with a housemade sauce, eggs, beansprouts, prawns and squid - are best eaten with fish sauce, sugar, chilli powder and finely ground peanuts. There is also a vegetarian menu, with signature items from the premises' former occupants, Zen Fut Sai Kai. Sake gastrobar Kabuke has opened its doors on the second floor of a heritage shophouse in Telok Ayer Street. Helmed by sake sommelier Keiji Heng and head chef Rio Neo, it marries the art of kabuki, sake and contemporary Japanese cuisine. Customers can design their own Sake Flight - a selection of three sake pours. Kabuke focuses largely on sake pairings and each item on the menu is matched with a recommended sake. One example is the sake pairing of the Kabuke Cheese Platter ($25++), curated with The Cheese Artisans, which encourages sake drinkers to try something new. The lunch menu includes three signature Kabuke Beef Bowls - Gyudon ($15++), Wagyu Suki Bowl ($18++) and Wagyu Bowl ($28++), with available add-ons. 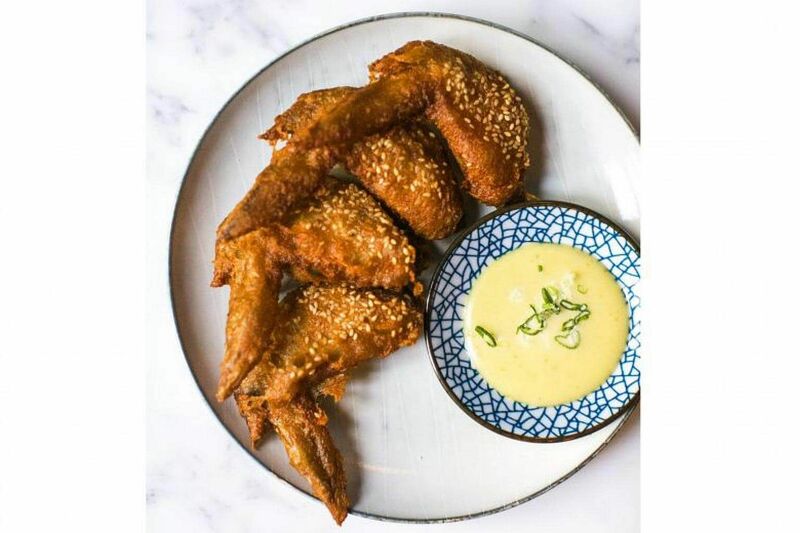 The evening menu - comprising small bites, Kabuke Sharing Plates and Mini Umami Bomb rice bowls that guests can customise - is designed for those looking for light bites or a satiating dinner paired with sake. Star dishes include crowd favourites such as Baby Corn ($10++), Shiso Tempura with Hotate Tartare ($15++) and Crispy Goma Goma Wings ($12++, above). Guests can create their own Mini Umami Bombs - with a base of Japanese rice, pickles and seaweed, and their choice of negitoro, hotate, iberico jamon, smoked salmon, ikura and tuna tataki (all items $3++ to $6++) and toppings such as salted egg fish skin ($2++).